Winter not only brings paleness to the environment, but it is also accompanied by many elements for which we need to take precautions. This is why people start preparing everything for winter before the season reaches us. The preparation includes road salt. For snow and ice on the road, road salt is used to prevent the ice from forming and refreezing. Without the use of road salt, accident rates in the U.S. would be much higher during winter. Though road salt can save you from road accidents, it creates a problem for car paint. It tends to hold moisture, sufficient to increase metal corrosion. Therefore, if you do not want to burn a hole in your pocket with paint repairs, it is wise to choose a paint protection film. 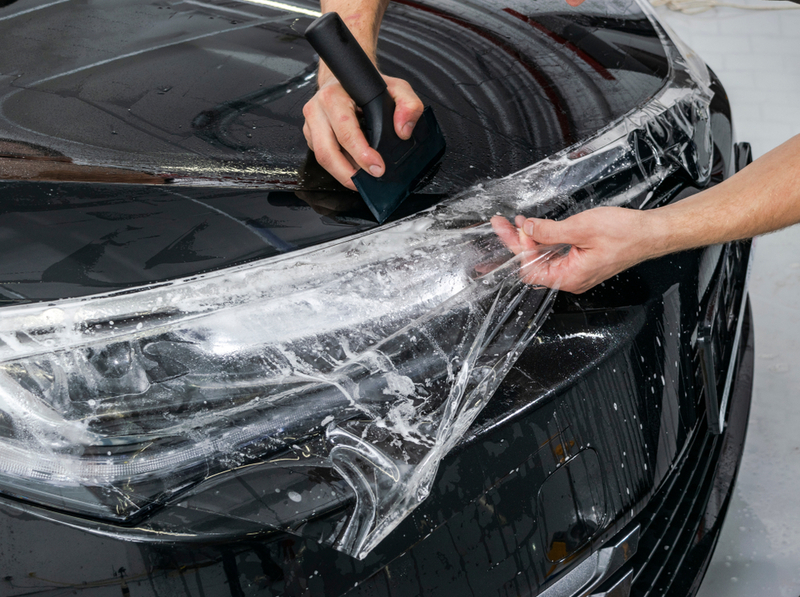 In order to maintain your car's paint, you need to protect it. In winter, it's a must. But there are other things that you have to pay attention to. Under the extreme weather conditions, not only the car paint but also the glass and wheels need to be protected. Your windshield, being the front of your car is exposed most and faces most of the strokes of wintery elements. As it can quickly accumulate ice and snow leaving you scraping, paint protection film will be useful to prevent your car paint from being affected. The wiper blades can face a lot of wear and tear in winter and may lose their effectiveness. Heated wiper blades are good options for that. Tire pressure is another thing you need to look at. Colder temperatures will cause the pressure to drop, and while this might add more contact area on the road, low tire pressure can worsen slipping under certain wintry conditions. You can get winter tires for your car designed to navigate the winter season better. Before winter gets your car, be ready with the installation of auto protection film and other accessories required. Come to us at Alta Mere and get expert help for protecting your car.